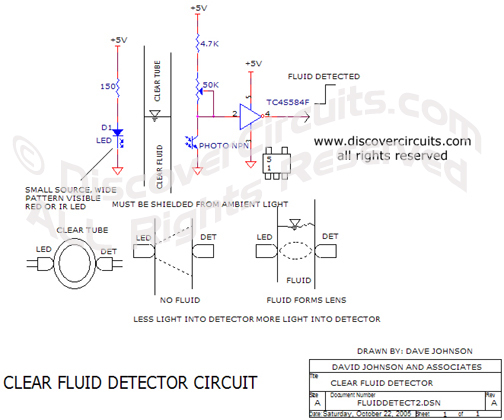 Circuit: Clear Fluid Detector__ Circuit designed by David A. Johnson, P.E. Using an ultra low power technique, this circuit detects when a clear fluid is inside a piece of clear plastic tubing. It can be used for fluid level control and monitoring.